Well, the ducks and geese are migrating so I decided to migrate my blog from my own domain (stillinthestream.com) onto Blogspot to take advantage of some of the new features such as "following" and other gadgets, and because Blogger is discontinuing ftp editing, making it impossible for me to continue uploading content the way I was before. It is spring, and I'm feeling ready for new things, so this change will be good. Here is a photo from a recent paddle on Westwood Lake. 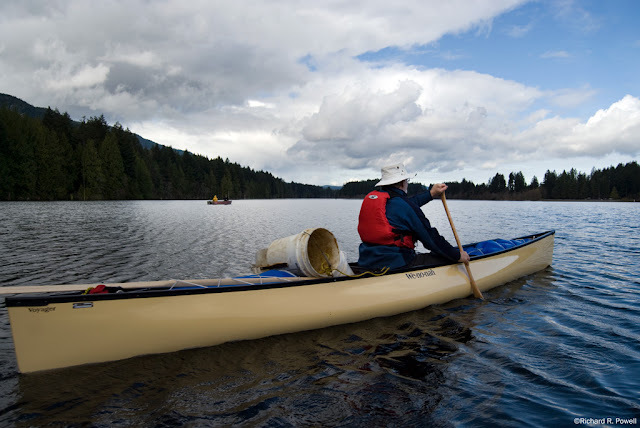 I was interested in trying out fellow paddler Paul's Wenonah Voyageur. I was very impressed with the tracking, glide, and overall efficiency of the boat. A real Gem. My, I admire your lifestyle. An honor to follow you, your buddies and those wonderful canoes.